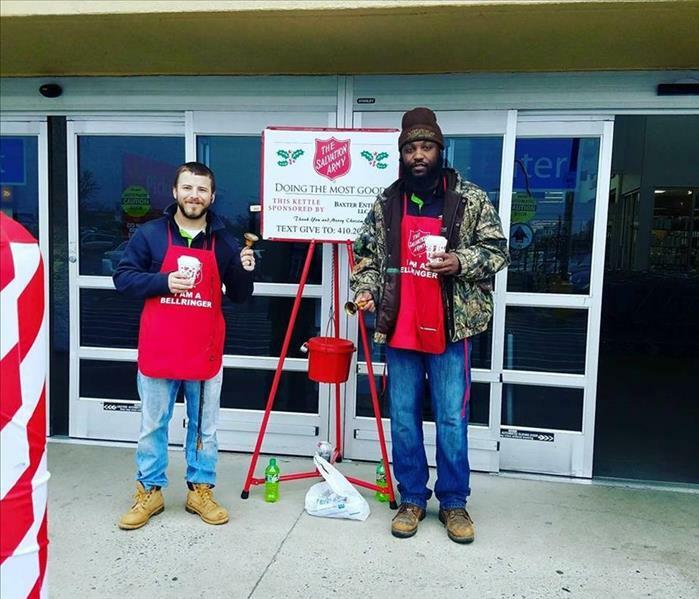 Thank you to our local Salvation Army for giving us the amazing opportunity to help in this year's Red Kettle Campaign. 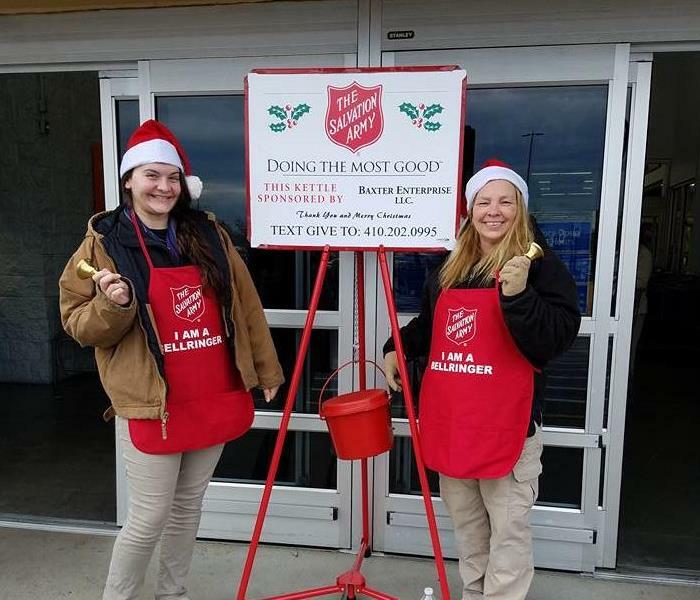 Thank you for your services to our community! 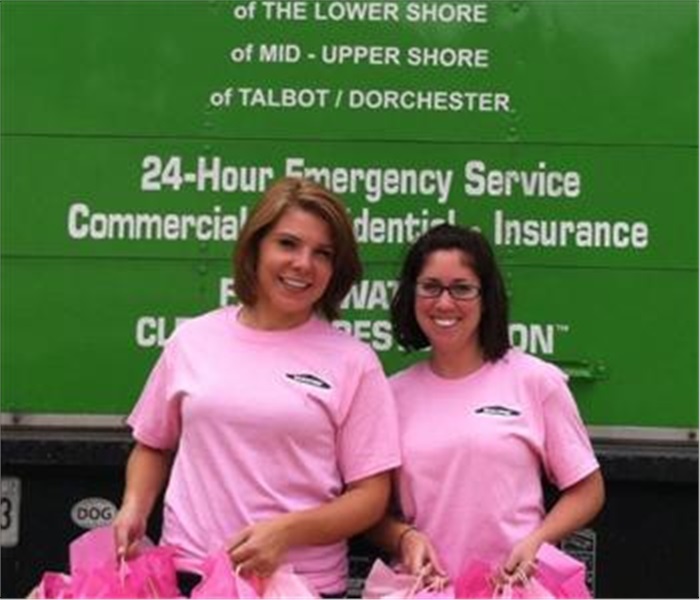 Samantha and Sarah had a wonderful time at this year's Chamber Expo in Queen Anne's County. 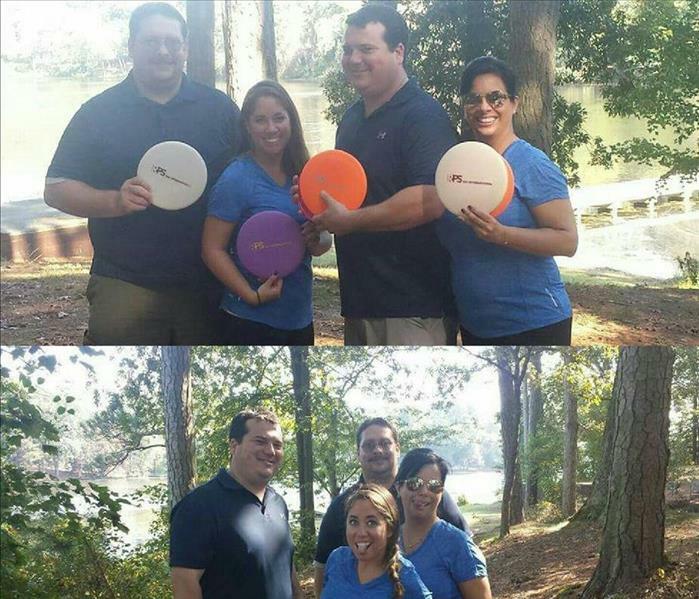 Looking forward to next year. 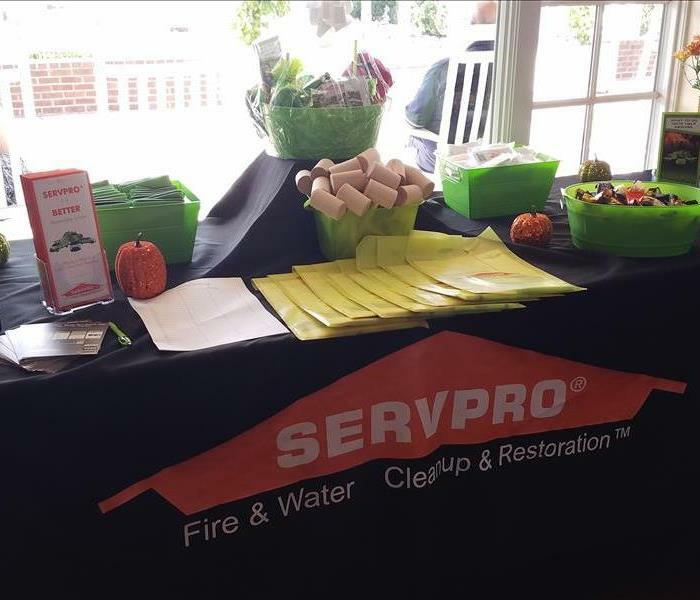 Great turn out for this month's Continuing Education class on restoring a water damage! 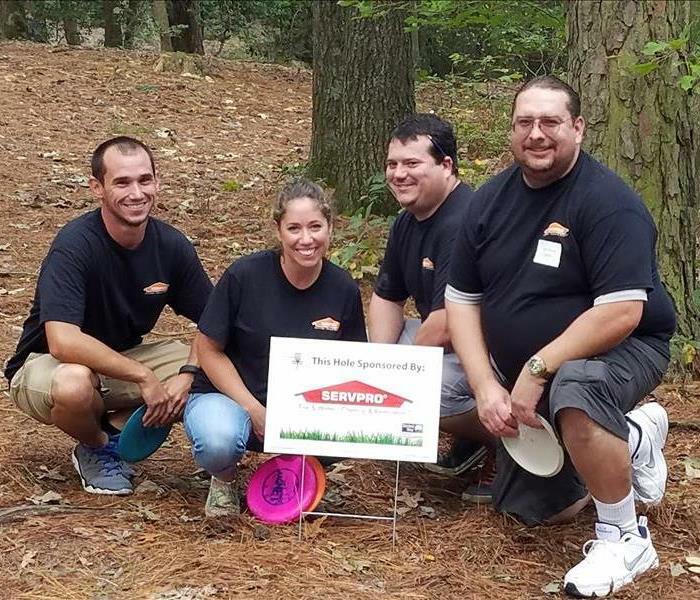 RPS ISG's 4th Annual Frisbee Golf Tournament to benefit the United Way's Imagination Library Literacy program, raised over $11,000 for preschool children on the Lower Shore! 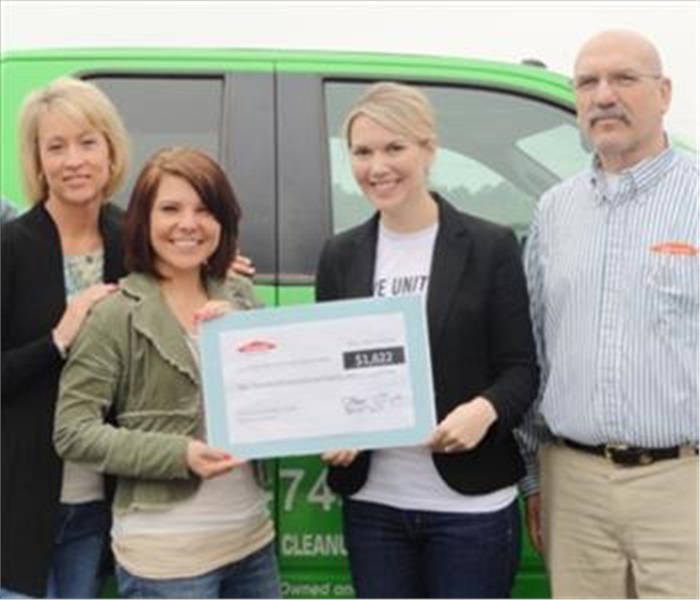 The United Way of the Lower Eastern Shore recently received a donation from SERVPRO of the Lower Shore for their 2011 United Way employee campaign. 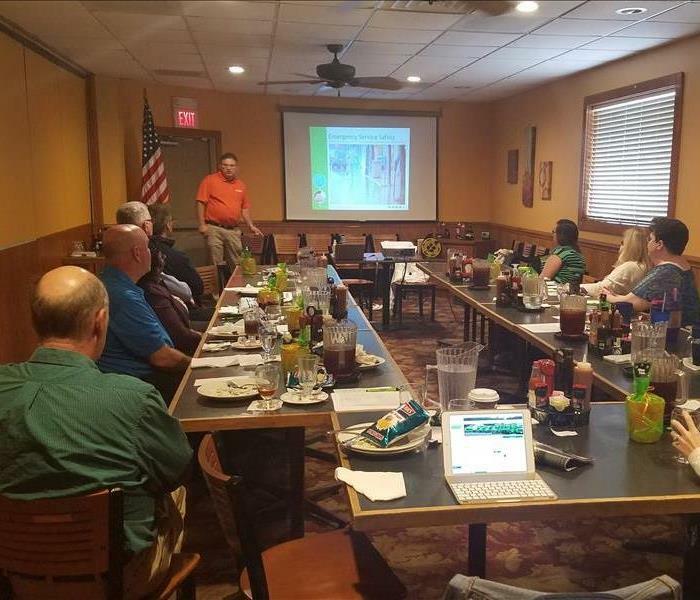 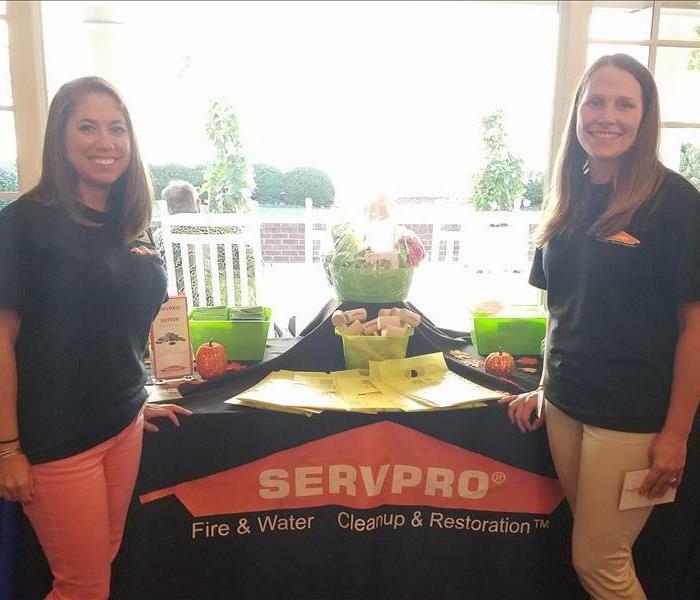 Pictured, from left, are SERVPRO of the Lower Shore’s Megan Jones and Deanna Miller, United Way’s Amy Luppens and SERVPRO owner Robb Sartorio. 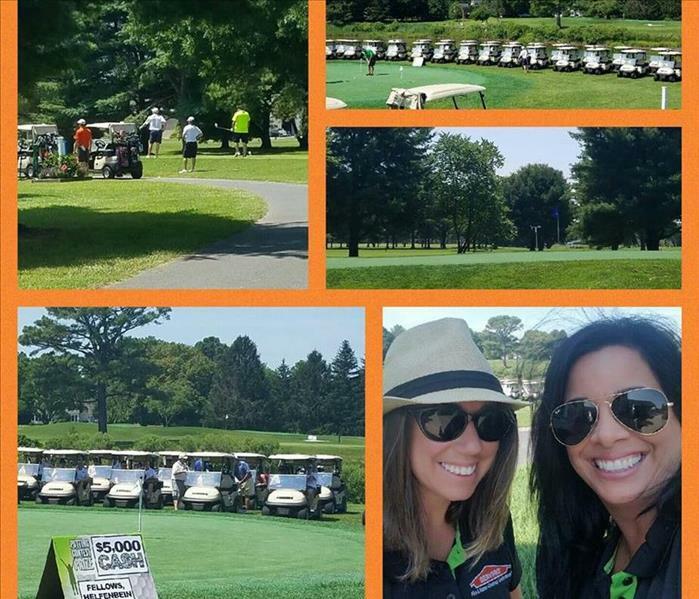 This year's Talbot County Golf Tournament benefited the Easton Fire Department located in Easton, MD. 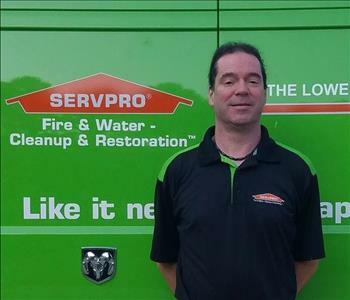 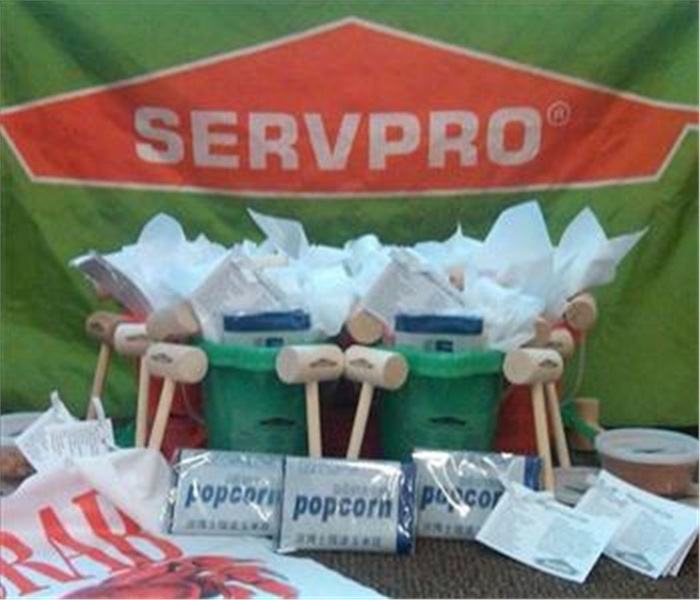 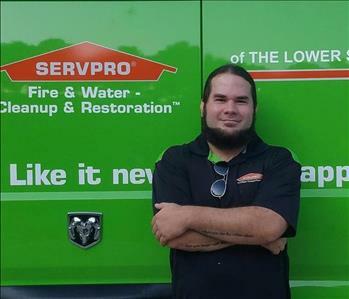 This year SERVPRO participated in National Night Out. 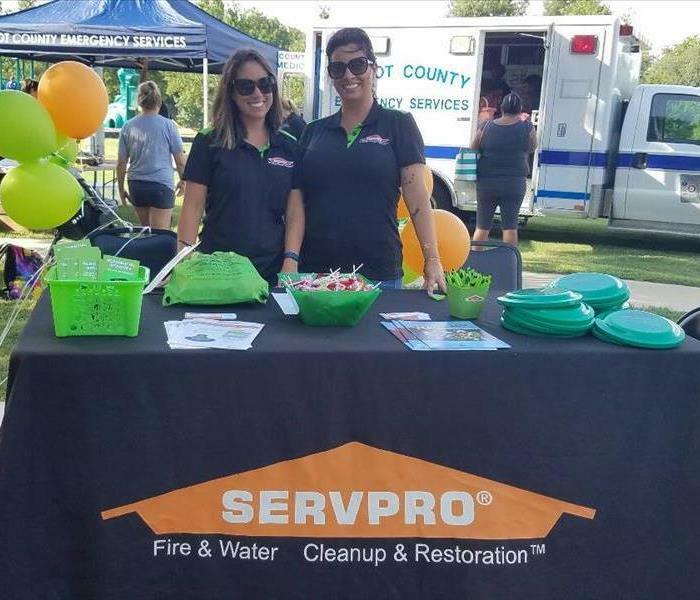 National Night Out is an annual community building event that promotes police-community partnerships and neighborhood camadarine to help make out neighborhoods a safer, better place to live.